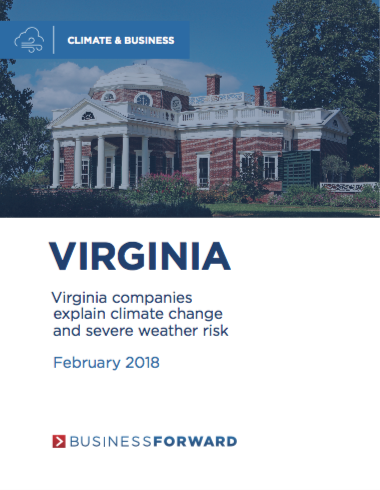 Last year, the United States experienced 16 weather and climate disaster events with losses exceeding $1 billion each across the United States. Top entrepreneurs, executives, investors, and small business owners are changing how they build, where they locate, and how they insure their assets. They are creating new business lines and models to capture the opportunities severe weather is creating. 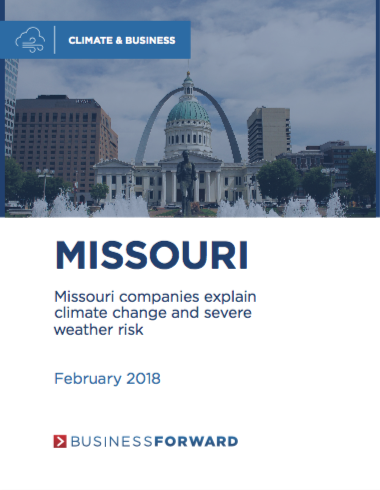 And they are issuing warnings to their investors that climate policy opponents would do well to heed. 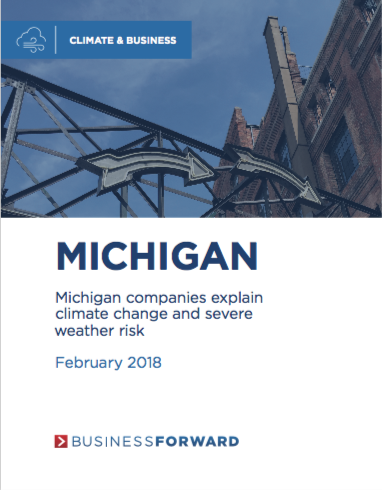 Business Forward issued five reports, focusing on Michigan, Minnesota, Missouri, Ohio, and Virginia. 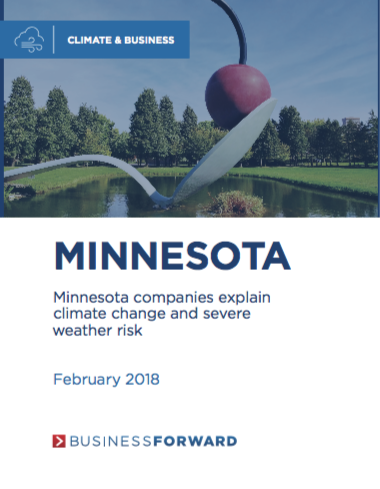 These reports examine how severe weather is distorting commodity prices, disrupting supply chains, damaging plants and equipment, and hurting consumer demand for major businesses. Download the reports by clicking the covers below. 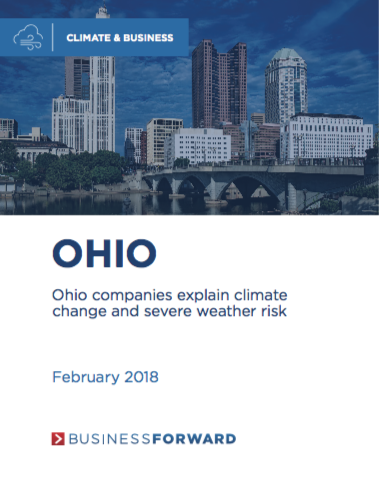 Do you have a story of your business responding to climate change? Tell us your story by using the form below. May we share your comment with reporters?